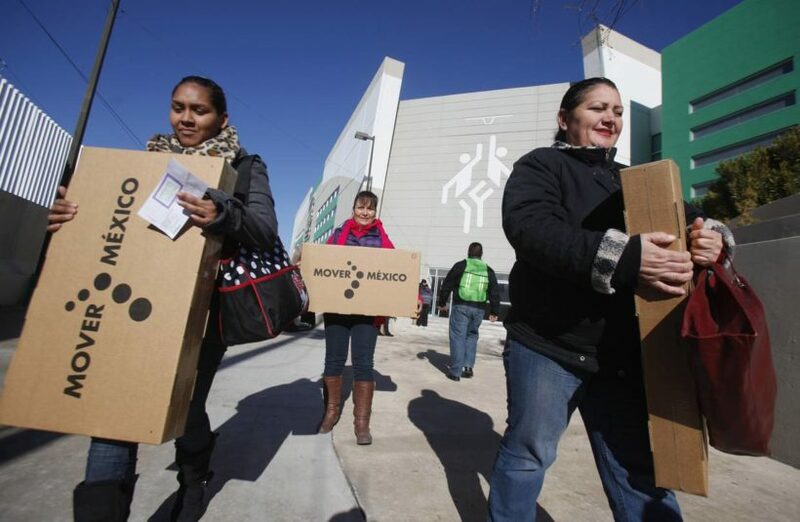 (by Juan Montes, The Wall Street Journal) MEXICO CITY—Mexico’s congressional audit office has ruled that a controversial government program to give away some 10 million flat-screen TV sets to the poor wasted an estimated $39 million of taxpayers’ money. The finding comes in the wake of broader concerns about the TV giveaway. In September, The Wall Street Journal published a story about the program that included allegations that a high-ranking Mexican official asked for kickbacks during the bidding process. At the time, senior government officials said the acquisition of TVs was transparent and legal. “The irregularities found by the audit office showcase the problems of corruption that the program has had, and also the government’s lack of capacity to implement it correctly,” said Marco Fernández, a professor at the Tecnológico de Monterrey and researcher at think-tank México Evalúa. In response to questions about the audit, Mexico’s Communications and Transport Ministry, which handled the program, said it was taking legal action to get restitution from the company that provided the defective television sets. It didn’t name the supplier. Regarding the 12,000 missing televisions, the ministry said 8,000 were handed out after the audit office finished its report and that the rest were in the process of being delivered. Contracts for almost two-thirds of the sets went to domestic electronics wholesaler Comercializadora Milenio SA, in partnership with its sister company, domestic television manufacturer Diamond Electronics SA. In one case Diamond was awarded a no-bid contract for 460,000 sets, government documents show. Both firms have denied any wrongdoing. The program, launched in 2014 and 2015, was one of the largest targeted subsidy in Mexico’s recent history. Critics said the program was politically motivated and sought to increase the popularity of Mr. Peña Nieto’s government. In most of the country, the TVs came stamped with the Peña Nieto administration’s motto, “Moving Mexico.” Others said the government shunned less-expensive alternatives, including the converter boxes used in most other countries. 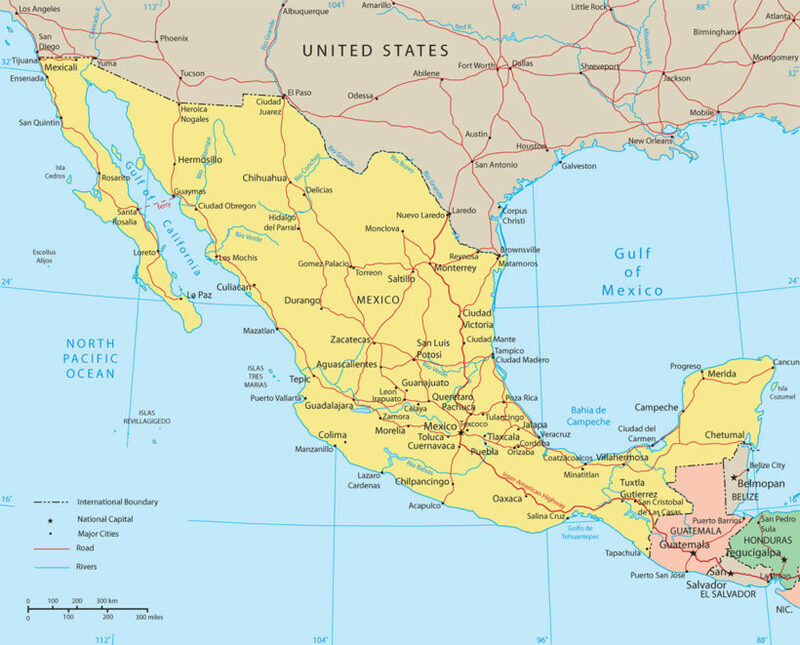 In a separate report published in August by Mexico’s telecom regulator, a commissioner wrote that around half of the televisions were given away to people who already had digital TVs or converter boxes. The ministry said it had relied on a list of needy families provided by the Social Development Ministry in allocating the sets. (by Patrick Wintour, The UK Guardian) — Bahrain has taken steps to ban the main opposition party and transfer many civilian judicial cases to a military court, in what appears to be a new crackdown on dissent and human rights. British Prime Minister Theresa May visited Bahrain only three months ago as part of a drive to deepen UK military and trading links. The UK has been funding efforts to set up a police ombudsman in Bahrain, but conceded in its 2016 annual human rights report that developments in the country were a cause for concern. 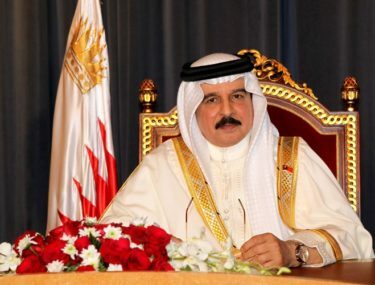 The Gulf state, led by King Hamad bin Isa al-Khalifa, has been repeatedly accused of curtailing freedoms of expression, association and assembly. Rights groups allege that torture and other abuses are common, especially in the country’s notorious prisons. On Monday Bahrain’s justice ministry filed a lawsuit seeking to dissolve the main remaining opposition group on the grounds that it undermined security, the state-run Bahrain news agency reported. The secular [non-religious] National Democratic Action Society, or Wa’ad, had perpetrated “serious violations targeting the principle of respecting the rule of law, supporting terrorism and sanctioning violence by glorifying people convicted for terrorism cases.” the ministry said. Authorities last year dissolved the then largest opposition group al-Wefaq and revoked the citizenship of the country’s top Shia Muslim cleric. On Sunday the upper house of parliament approved a constitutional amendment that critics say will allow authorities to run the country under an undeclared state of martial law. The change will allow civilians to be tried by military courts if the case involves the military. Low-level and occasionally violent unrest has agitated the Gulf kingdom since its Shia Muslim majority led protests in 2011 that were violently suppressed by the Sunni Muslim-led government with help from its Gulf Arab neighbors. The sixth anniversary of the uprising last month led to a spate of violence, and claims by the authorities that they had uncovered a terrorist cell more than 50 strong operating in multiple locations. There were also street protests in January when three Shia Muslim men convicted of killing an Emirati police officer and two Bahraini police officers in a 2014 bomb attack were executed. (by Yasmeen Serhan, The Atlantic) – Dutch voters will kick off the first of several pivotal European elections when they hold their parliamentary elections on March 15. 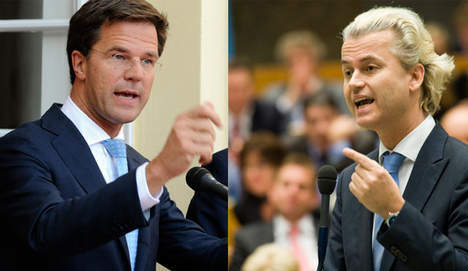 Most polls show Geert Wilders, the leader of the conservative Dutch Freedom Party (PVV), running neck-and-neck with the ruling liberal People’s Party (VVD) for Freedom and Democracy, led by Prime Minister Mark Rutte. The remaining 12 parties, which include mostly center and left-wing groups, are projected to each take anywhere between zero to 18 seats. The results of the election could have an impact far beyond the Netherlands. Like the upcoming French and German elections, the Dutch vote is seen by some as a litmus test for establishment candidates facing Wilders, whose populist messaging has been compared to France’s Marine Le Pen. Opinion polls project Wilders’ PVV getting anywhere between 22 and 28 seats in the 150-seat lower house of Dutch parliament—far below the 76 needed to form a government. This is due, in part, to the Netherlands’ multi-party system, which makes coalition governments almost inevitable, Dr. Andrej Zaslove, an assistant professor of political science at the Radboud University Nijmegen, told me. It’s possible that Wilders’ PVV could win the majority of parliamentary seats and still be excluded from entering the government coalition. In fact, it’s likely. Current Prime Minister Rutte’s VVD and all the parties to the left of it have already ruled out forming a government with Wilders. “Zero percent Geert, ZERO percent. It. Is. Not. Going. To. Happen,” Rutte tweeted last month. 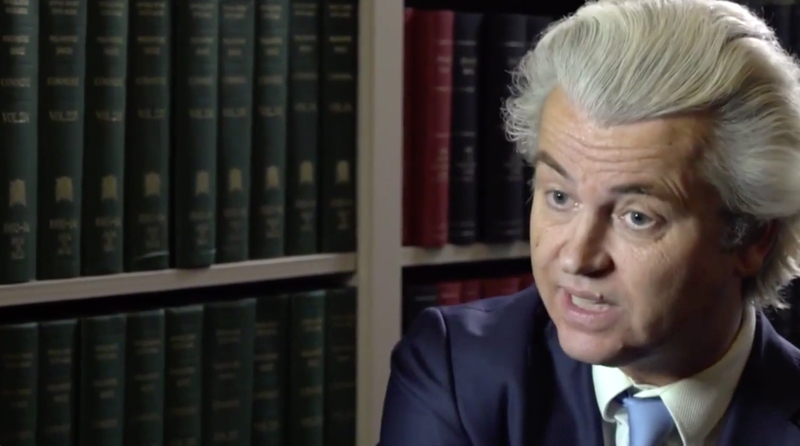 …Wilders has vowed to “de-Islamize” the Netherlands by barring immigration from Islamic countries, banning the Quran (which he has likened to Adolf Hitler’s Mein Kampf ), shuttering Dutch mosques and Islamic schools, and allowing for the “preventive detention of radical Muslims.” He is also known for his anti-Moroccan rhetoric, for which he was convicted of hate speech in December after he told supporters during a 2014 rally that he would reduce the size of the country’s Moroccan community, which accounts for approximately 2 percent of the population. b) How many TVs in total did the Mexican government give away? c) What was the total cost of this government give-away? d) How many of the TVs given away were defective? – How much did this amount to? e) What was the purpose of the TV give-away? f) List 4-5 facts that illustrate the corruption and/or ineffectiveness of this program. b) On what grounds did Bahrain’s justice ministry seek to ban the main opposition party? c) What effect will this have? b) Read the “Background” and watch the video under “Resources.” Wilders is labeled “far-right extremist” etc. What do you think? Are his assertions reasonable or unreasonable? 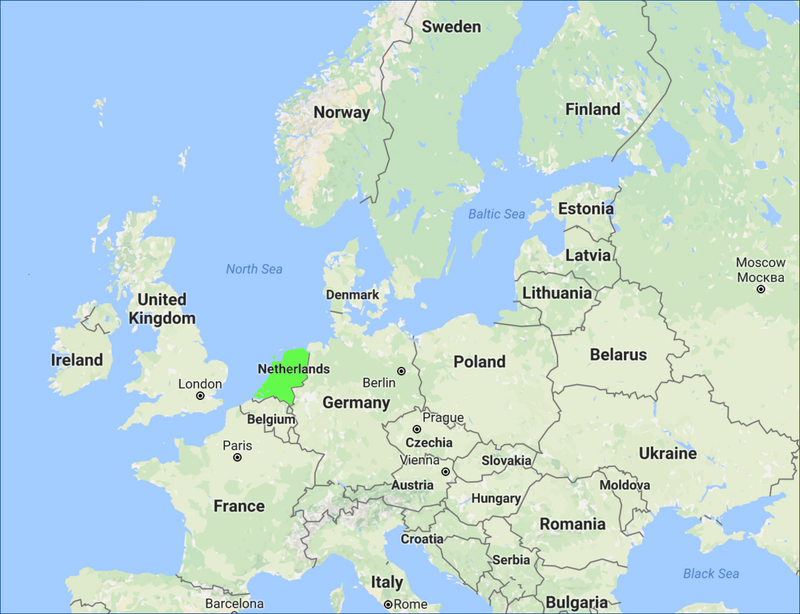 CHALLENGE QUESTION: Research the Netherlands’ form of government. Explain the parliamentary system. Explain what it means to “form a government” after elections. What is a coalition government? What is the multi-party system? In 1783, the Sunni Al-Khalifa family took power in Bahrain. 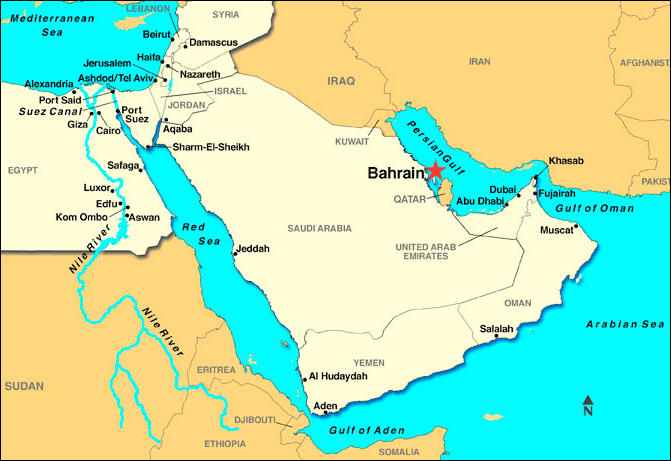 In order to secure these holdings, it entered into a series of treaties with the UK during the 19th century that made Bahrain a British protectorate. The archipelago attained its independence in 1971. A steady decline in oil production and reserves since 1970 prompted Bahrain to take steps to diversify its economy, in the process developing successful petroleum processing and refining, aluminum production, and hospitality and retail sectors, and also to become a leading regional banking center, especially with respect to Islamic finance. Bahrain’s small size and central location among Gulf countries require it to play a delicate balancing act in foreign affairs among its larger neighbors. The Sunni-led government has long struggled to manage relations with its large Shia-majority population. In early 2011, amid Arab uprisings elsewhere in the region, the Bahraini Government confronted similar pro-democracy and reform protests at home with police and military action, including deploying Gulf Cooperation Council security forces to Bahrain. Conservative populist politician Geert Wilders has said Islam is a threat to European values and is incompatible with freedom. “Dutch values are based on Christianity, on Judaism, on humanism. Islam and freedom are not compatible,” Mr. Wilders, 53, told USA Today in February. “Even if I lose this election, the genie will not go back in the bottle again. Wilders’ opposition to Islamist ideology has placed him on al-Qaeda, Taliban and Islamic State assassination lists for more than a decade. He wears a bulletproof vest in public, has an elaborate security detail and moves with his wife between safe houses. In 2002, Dutch gay politician Pim Fortuyn was murdered for his outspoken views on Islamic ideology. Two years later, Dutch filmmaker Theo van Gogh was killed by a Dutch-Moroccan Muslim for a short film he made that was critical of Islam’s treatment of women.